Peter Cook and Dudley Moore had – as their alter egos Derek and Clive – an expletive-laden conversation regarding the lack of labelling on important household items (such as motorbikes and sunglasses – getting them mixed up can be awkward, it seems) and I often find myself reciting the lines in my head as I go around the garden looking at rows of green stuff sprouting up, trying to remember what they are or how I should be harvesting / nurturing them. 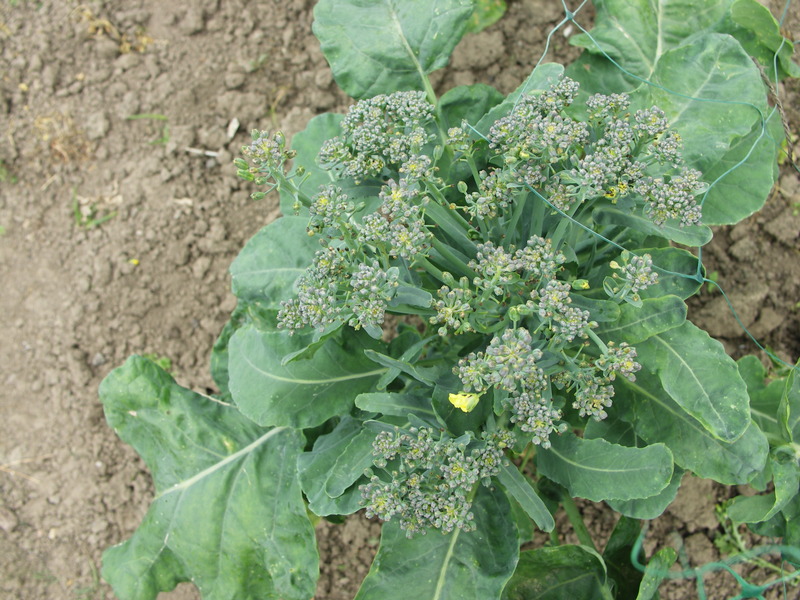 The brocoli we planted is sprouting nicely, though not in one big head. As these are the plants that Lynn gave to us we are not too sure what type they are, so I am second guessing what to do. Perhaps they are “cut and come again” brocoli which I can just take off florets and more grow. But they are just the size of purple sprouting and at the moment we don’t get much of a meal from them. How ripe is my tomato? 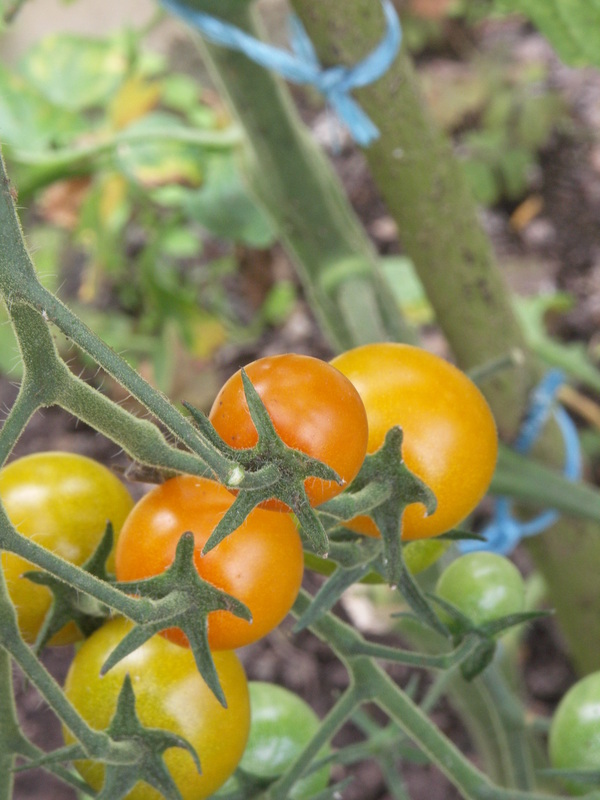 The tomatoes are another issue – I have been patiently waiting for the first one to ripen to its full red bloom, only to discover that this type are naturally orange in colour and will not turn red. Change the label to orange tomato. Mind you, even with a label and instructions, life does not always work out. My coriander seeds which the packet told me would take something stupid like a matter of hours between sowing and harvesting, have taken months to only produce three pathetic seedlings. It don’t always do what it says on the tin. 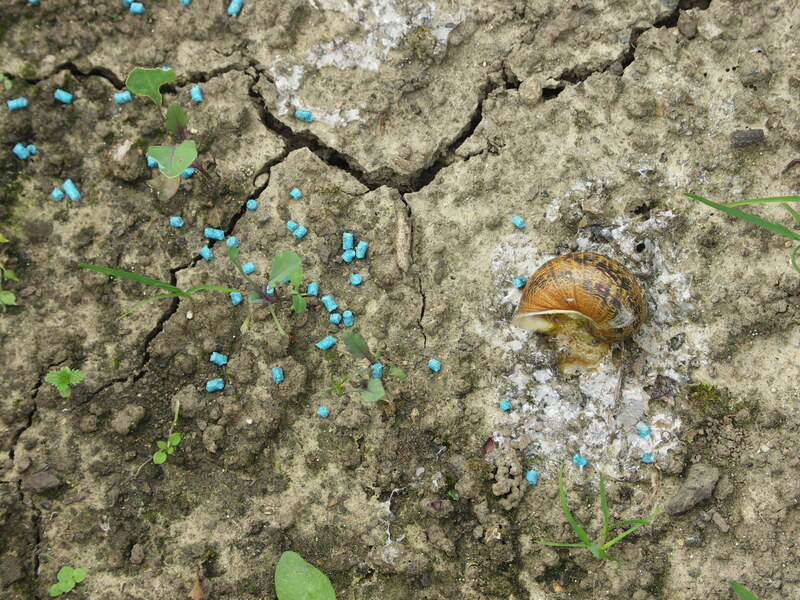 And even when your plants do well, you cannot always be sure what you will harvest. Lynn kindly provided us with a whole host of different chitting spuds, from Belle de Fontenay second earlies to Sarpo Mira Main Crop. I carefully planted each type in its own row and assiduously labelled each one accordingly. What soon became apparent when the spuds came up was that they were not necessarily uniform rows: the tops were clearly different, and since the destruction of the plants by blight, I havent’ a clue what I am going to find. 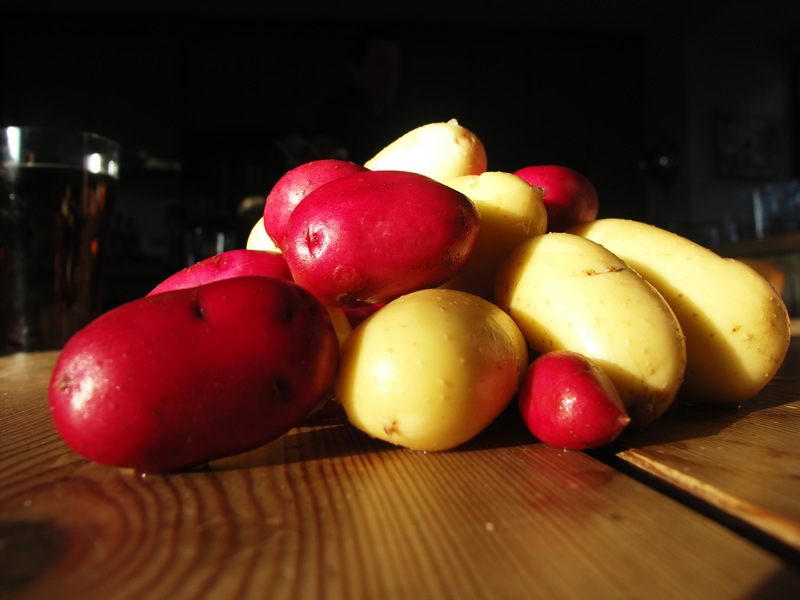 This week we dug several roots of potatoes that are like no other we have planted – so while one root is clearly Setana, the next is bright red – maybe Duke of Yorks? Who knows. But it brings even more excitement to an otherwise mundane task fo digging spuds. As Derek and Clive said “If people would label things…you’d know where you were”. This entry was posted in Gardening Times and tagged brocoli, coriander, Dudley Moore, label, Peter Cook, Plant, potato, snails, Sowing, Sprouts, tomato. Bookmark the permalink.